Small Clear Bubble Wrap 250mm x 100mtr. Our Small Clear Bubble Wrap 250mm x 100mtr on a roll protects your product with long term cushioning properties. Protection is maintained throughout packing, transit and storage. This small bubble wrap is lightweight and flexible not only making it ideal for wrapping or interleaving a variety of products but also reducing delivery costs. The protective air-filled bubbles cushion fragile products to prevent breakage. Protection is maintained during transit and storage. Lightweight and flexible small bubble wrap. For more great products from A&A Packaging please visit, Supplies Direct. Small Clear Bubble Wrap 300mm x 100mtr. Our Small Clear Bubble Wrap 300mm x 100mtr on a roll protects your product with long term cushioning properties. Protection is maintained throughout packing, transit and storage. Small Clear Bubble Wrap 400mm x 100mtr. Our Small Clear Bubble Wrap 400mm x 100mtr on a roll protects your product with long term cushioning properties. Protection is maintained throughout packing, transit and storage. Small Clear Bubble Wrap 500mm x 100mtr. Our Small Clear Bubble Wrap 500mm x 100mtr on a roll protects your product with long term cushioning properties. Protection is maintained throughout packing, transit and storage. Small Clear Bubble Wrap 600mm x 100mtr. Our Small Clear Bubble Wrap 600mm x 100mtr on a roll protects your product with long term cushioning properties. Protection is maintained throughout packing, transit and storage. Small Clear Bubble Wrap 750mm x 100mtr. Our Small Clear Bubble Wrap 750mm x 100mtr on a roll protects your product with long term cushioning properties. Protection is maintained throughout packing, transit and storage. Small Clear Bubble Wrap 1000mm x 100mtr. Our Small Clear Bubble Wrap 1000mm x 100mtr on a roll protects your product with long term cushioning properties. Protection is maintained throughout packing, transit and storage. Small Clear Bubble Wrap 1200mm x 100mtr. Our Small Clear Bubble Wrap 1200mm x 100mtr on a roll protects your product with long term cushioning properties. Protection is maintained throughout packing, transit and storage. This small bubble wrap is lightweight and flexible not only making it ideal for wrapping or interleaving a variety of products but also reducing delivery costs. The protective air-filled bubbles cushion fragile products to prevent breakage. 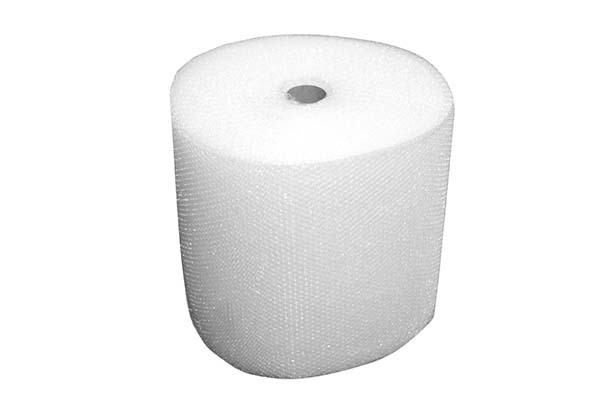 Small Bubble Wrap 1200mm rolls are available in bundles of 1. Sold in packs of 1 roll. Small Clear Bubble Wrap 1500mm x 100mtr. Our Small Clear Bubble Wrap 1500mm x 100mtr on a roll protects your product with long term cushioning properties. Protection is maintained throughout packing, transit and storage.